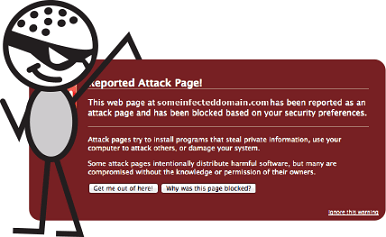 What is malware and how did it get on my site? Malware refers to hostile, intrusive, or annoying software/scripts which include computer viruses, worms, Trojan horses and such other malicious software. They can be placed in number of ways and means on your site. It’s easier for an intruder to access your site by the means of loopholes in your security and inject the malicious software in your server or website. There are many different actions that a malware can perform. It may infect visitors to your site with a virus or additional malware on their system or simply redirect users away from your site in some cases. Whatever action it performs, it is dangerous in and you have to take steps to remove it from your site/server immediately. Do you have malware on your website that needs removed? If you do, we can help you in this regard what with our years of web security expertise. We can remove all sorts of malware, viruses, or code injections from your website which includes backdoors, too. In short, we can get your website up and running in no time. Our USP is that we focus on providing website malware removal, security and monitoring service alone, at such times. Our service is trustworthy and hassle-free in addition to being a reliable source. We understand that there’s nothing more frustrating than getting your site hacked and hi-jacked which will cost you time, money and customers. So, why not spend money and time on those who can get it right at the first go? Nothing is more frustrating than being blacklisted by Google. This is where we can help you by restoring your website back to normal and also, getting it re-indexed. We can get in touch directly with Google to get your status updated in real time. Our friendly as well as experienced staff is here to help you. So, don’t let a hitch like this tarnish your reputation. Get your name cleared with our help IMMEDIATELY. We focus on one thing and we perform it with alacrity and accuracy. Most importantly, we follow a time-bound procedure to provide you with faster results. We follow the policy of taking “pro-active” measures instead of notifying you after you’ve been infected. For this, we adopt preventive measures such as installing the appropriate security controls. Our team of Cyber Security professionals specializes in website security. We use our own proprietary tools which are the result of our years of experience in this field to get your site up and running in no time.